What does it mean to “eat with the seasons?” Erica Mesirov, our resident Food Coach, explains how we naturally benefit from this dietary practice and lists some great options to add to your grocery list this season! When you eat with the seasons, you eat food that primarily grows during the season you’re currently in. So now that we’ve entered fall, eating with the seasons means eating food that grows during fall. The thought is that foods grow during specific times of the year for a reason. Foods that grow in spring and summer tend to be juicy and hydrating to help the body endure the heat of summer. And foods that grow during fall and winter are warming, helping us survive the winter cold. Foods that grow during fall, naturally support our bodies as we transition to colder temperatures. Even if you live someplace warm, the weather is still getting cooler and the days are getting shorter. 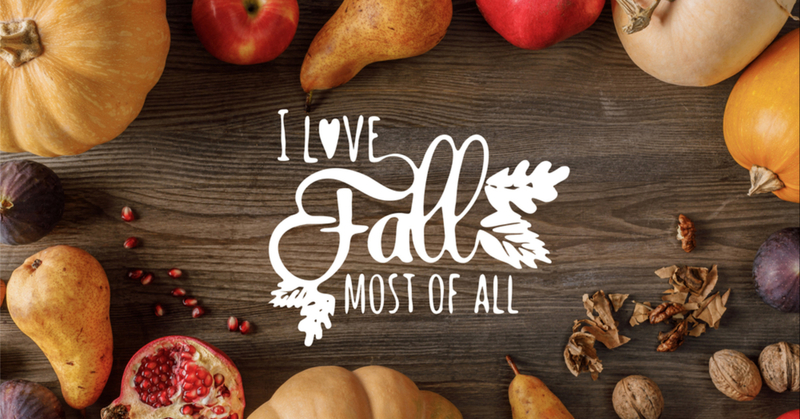 And fall foods help the body go through this change. Do you make it a practice to eat with the seasons already? Or are you curious to start including more seasonal foods in your meal plan? Let us know in the comments!